Getting lost in twisted time. - time that is not supposed to be - ryoondo-tea introduce FJORDNE. FJORDNE - reading history - 4:16 � 00.00 Buy this Song ! FJORDNE - through the door - 5:02 � 00.00 Buy this Song ! 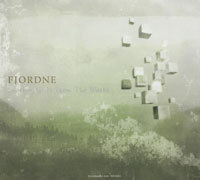 FJORDNE - bites of snow - 4:17 � 00.00 Buy this Song ! FJORDNE - dust, light - 6:02 � 00.00 Buy this Song ! FJORDNE - cars and cigarettes - 4:06 � 00.00 Buy this Song ! FJORDNE - boy nowhere to go - 5:21 � 00.00 Buy this Song ! FJORDNE - but blue indeed - 4:52 � 00.00 Buy this Song ! FJORDNE - wood, cluster - 5:27 � 00.00 Buy this Song ! FJORDNE - ceylon - 6:55 � 00.00 Buy this Song ! FJORDNE - molecule - 5:19 � 00.00 Buy this Song ! FJORDNE - from the fireplace - 8:36 � 00.00 Buy this Song !